If you’re switching from a PC to a Mac, one of the first things you’ll want to do is to move all your data to your new computer. The process is fairly simple, but you can go down any of several paths depending on your setup and your needs. Take a quick mental inventory of your data. Be sure to consider personal data such as email, contacts, calendars, and bookmarks; media such as music, photos, movies, and TV shows; and documents you’ve created or downloaded. If most of that is already somewhere in the cloud, the path of least resistance may be to connect to the same cloud services on your Mac, and then manually transfer any remaining items that live on your PC’s hard disk and nowhere else. When you buy a new Mac directly from Apple (either at an Apple retail store or online), you can optionally pay an extra $99 for Apple’s One to One service. 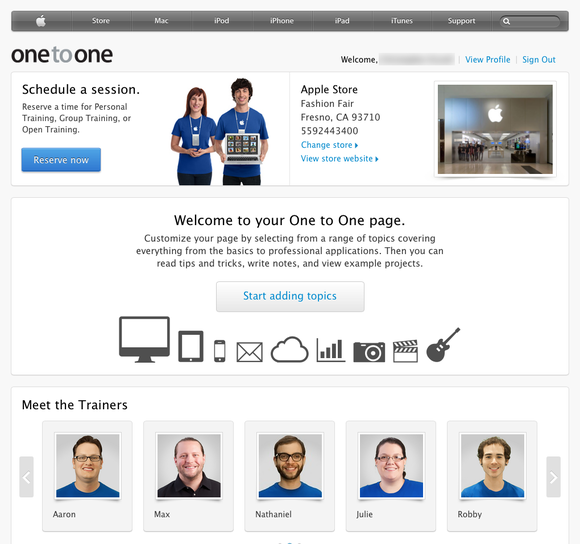 In addition to a full year of training on Apple products, this program includes a one-time data-transfer service. Take your old PC to your nearest Apple Store, and someone will transfer your data, install any Apple software you’ve purchased, and help you with any initial setup or usage questions. When you turn on a new Mac for the first time, a setup assistant runs to help you connect to the Internet, create a user account, and configure a number of important settings. 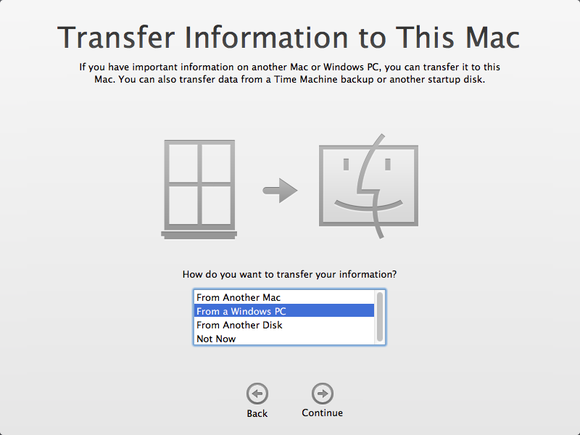 As part of this process, this app asks if you want to transfer data from another Mac or PC. If you decide to skip the data-transfer step, you can accomplish the same thing later by opening Migration Assistant, a utility found in your Mac’s /Applications/Utilities folder. Other than letting someone else do the work, Migration Assistant (in either form) is the easiest way to move data from a PC to a Mac. Migration Assistant doesn’t move files blindly from one computer to another. Instead, it intelligently sets up your Mac to resemble, as nearly as possible, the way your PC was configured. For example, email, contacts, and calendars (and their associated accounts) might be migrated from Outlook on a PC to Mail, Contacts, and Calendar, respectively on a Mac; bookmarks in Internet Explorer are recreated in Safari; documents are moved to analogous locations on your Mac; and even your desktop background picture is usually transferred. To use Migration Assistant, make sure your PC and Mac are on the same Wi-Fi network or, for faster transfers, connect them with an Ethernet cable. Then, on the PC, download and install the Windows Migration Assistant. Run that app on your PC and Migration Assistant on your Mac. Follow the prompts on both computers to transfer your data; for complete details and step-by-step instructions, see About Windows Migration Assistant on Apple’s website. If you have only a small amount of data to transfer, or if you want complete, manual control over the process, you can connect your PC and Mac over a wireless or wired network and use file sharing to make the PC’s files available to the Mac. Then, on your Mac, open a new window in the Finder. In the sidebar under “Shared,” click All. Then select your PC, click Connect As, enter the username and password you set up on your PC, and click Connect. The folder you shared on your PC should appear in the Finder on your Mac; you can then look through it for the items you want to copy and drag them to the location of your choice on your Mac.